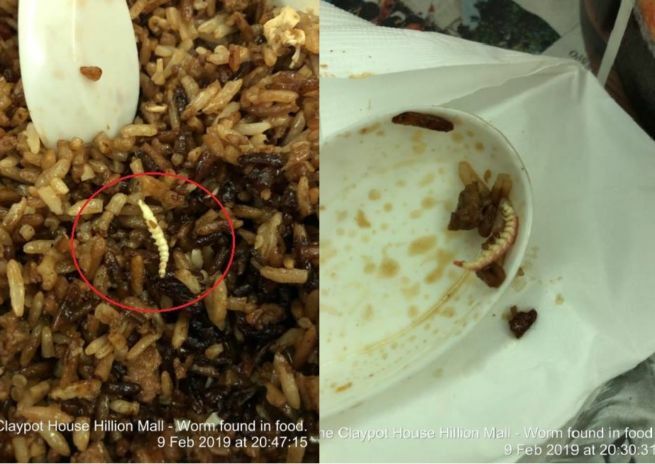 You are at:Home»Caught In The Act»ORDERED AONE CLAYPOT HOUSE FOUND WORMS! Ordered claypot rice from Aone Claypot House from Hillion Mall via Deliveroo. The restaurant is located at Petir Road. Seems like there is extra protein in the claypot. This is damn disgusting.